Calling all BLENDs — See you in Park City! 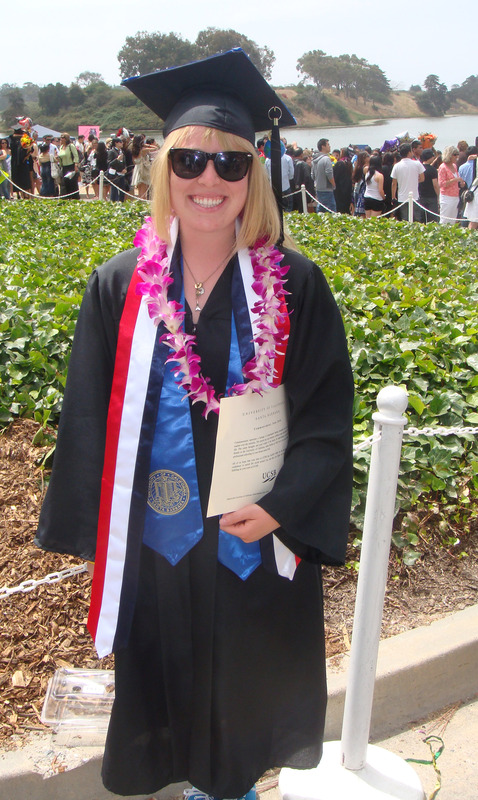 Four years ago today, I graduated from UC Santa Barbara with BA’s in Global Studies and French. I’ve been out of college for just as long as I was in it. That’s a strange feeling. 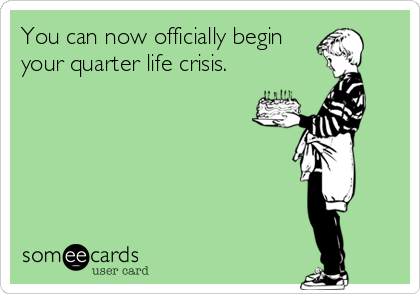 For the past few months, I have actually been deep in the midst of what I’ve been calling my quarter life crisis. For me, my “crisis” has manifested itself in the form of dissatisfaction with several big aspects of my life. As I may have mentioned before, I first started this blog in the fall of 2010 as a space to explore my status as a job-seeking post-grad post-recession Millennial who was pissed off that my college experience didn’t spit me out right into the workforce, working my perfect dream job in New York or San Francisco. You can actually see my very first entry in my blog when it was in that form here. Since then, I have settled for a lot of things. I settled for an internship (which actually ended up being great), which eventually led to me settling for the first job I was offered. I was in a serious relationship for the first time – we were together for nearly 2 years, but looking back I can see that I was unhappy for much of it towards the end. I still live in the city I swore I would never come back to after college. Soooooo you can see why I consider myself to be having a quarter life crisis. And you know what first came to mind? My friends are amazing. I can’t believe how much fun we all had at my party. Plus it’s 7:30am and I’ve already gotten 5 birthday texts! The weather is perfect today. A nice cool morning leading to an 80 degree afternoon (my ideal temperature!). I love my blends! Who knew starting a blog would lead me to finding such great friends who would become IRL friends too?! It was really nice to be able to sit and think and really just be happy about so many things. I think my outlook started to turn around in June when I ended my relationship and began to think about how to get myself out of my rut. I decided, maybe selfishly, that I would be putting myself first from now on. Since then, whenever I come up with a decision to make, or two diverging paths to choose from, I only ask myself one question: what will make me happy? What will get me what I want in life, or where I want to be? No more settling. I have gotten so much enjoyment out of being social these past few months. Staying out at the dodgeball bar till close – because why not? – may lead to a not so fun morning, but the memories of fun weekends are often what get me through rough weeks. To know that I’m taking advantage of my youth gives me deep satisfaction. I think self reflection and time alone is also important to your overall well-being. I love my Saturday morning run + farmer’s market routine because it’s something that I can count on every week to lift my spirits. I usually have at least one evening a week alone in my apartment as well, in which I always take my time relaxing and making dinner, usually with some music or a glass of wine. 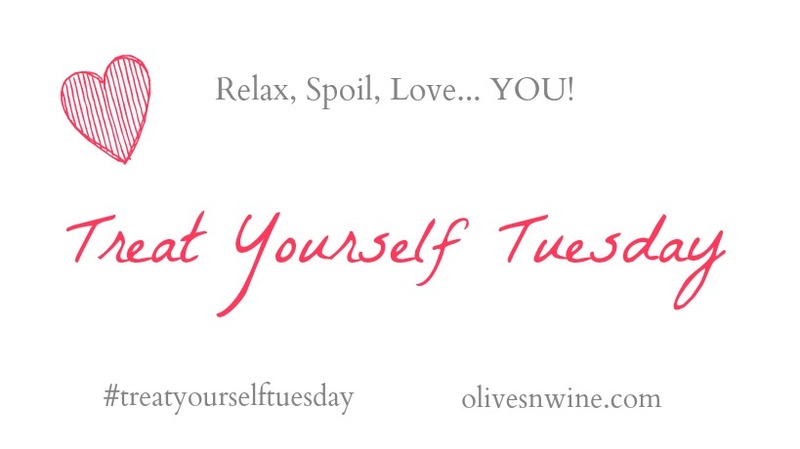 Finding ways to unwind (blogging counts!) is just as important as finding ways to let loose. Staying in contact with those who have known me the longest is a huge comfort in my life. Whether it be my true family, or friends I’ve known long enough to be family, I value their presence in my life. I listen to their advice, and know they have my best interests at heart. I know I said that this is about how to make yourself happy, but I believe if you treat others the way that you want to be treated, you will not only be helping them, but reinforcing your own self-respect in the process. Sorry to get all hippy dippy emotional on you guys. This is one of my last big birthdays to look forward to, and at such a strange place in my life I found it only necessary to step back and reflect. Hope your weeks are off to a great start! 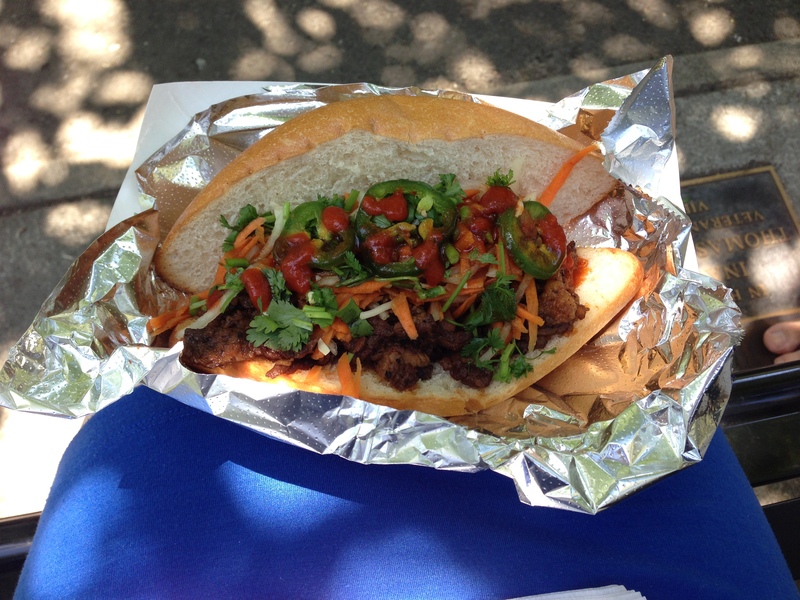 Now if you’d excuse me, I’m going to go treat myself to a banh mi for birthday lunch!! What things make you truly most happy in life? Have you experienced a quarter-life crisis? Remember my Muesli Protein Bars? They were selected as a finalist in the Muesli Fusion Recipe Contest! Please click here to go to the Facebook Poll and vote for me! All you have to do is click “Muesli Protein Bars — Blonde Ambition Blog”. First place AND runner up get a prize! Today is the LAST DAY to vote! We made it through another week, y’all! Um, remind me never to try to make “y’all” happen again. Let’s chalk it up to the fact that I am kind of in a rut. Socially, professionally, in every way possible it seems. There are only two things that I’ve consistently looked forward to these past couple of weeks: the Saturday morning Midtown Farmer’s Market, and my workouts. Food and fitness. Typical. But otherwise, I am unfortunately in a slump. I feel like this happens every few years for me; I am definitely one to crave change. I chose to go to college in Santa Barbara mainly to get as far away from Sacramento as possible (at the time, the only way to get there was either a 6 hour drive, or via a 2-part flight). Then, because apparently 4 years in one place is too much for me, I spent one year of college dicking around studying abroad. So you can imagine that now, after three years of living in the same place (with the same job for about half of that time) I’m kind of going stir crazy. Last weekend marked 3 years since graduation, and I’ll be turning 25 in three months. 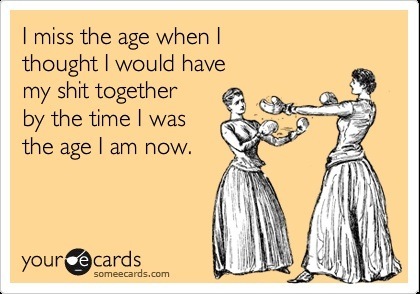 My twenties are almost half over. WTF? 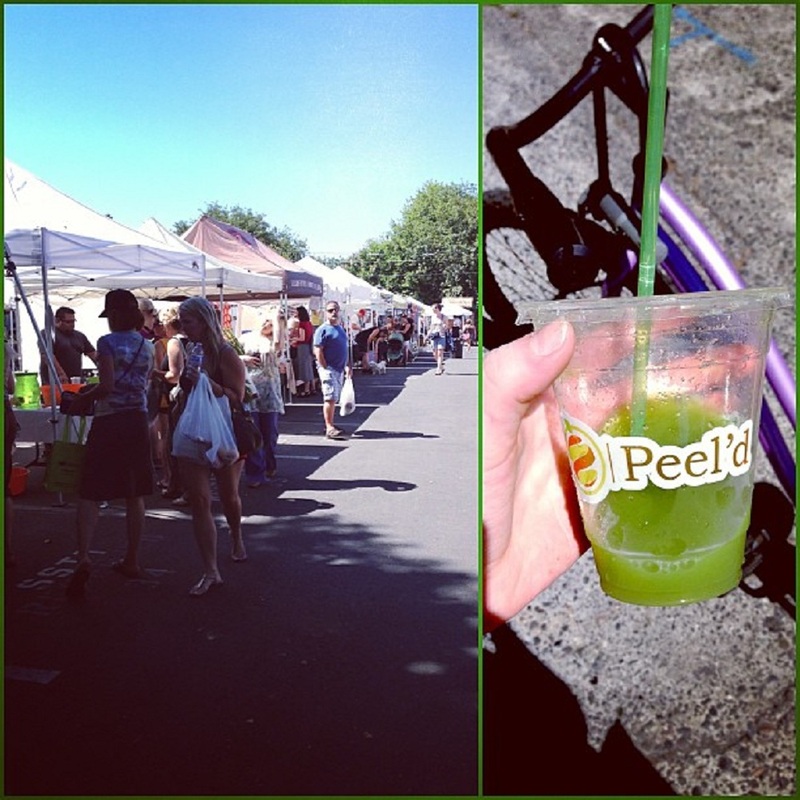 As mentioned above, I have been l-o-v-i-n-g the Saturday morning farmer’s market. The big year round Sunday Farmer’s Market is a good 20 blocks away from my apartment, which is kind of a long biking distance. 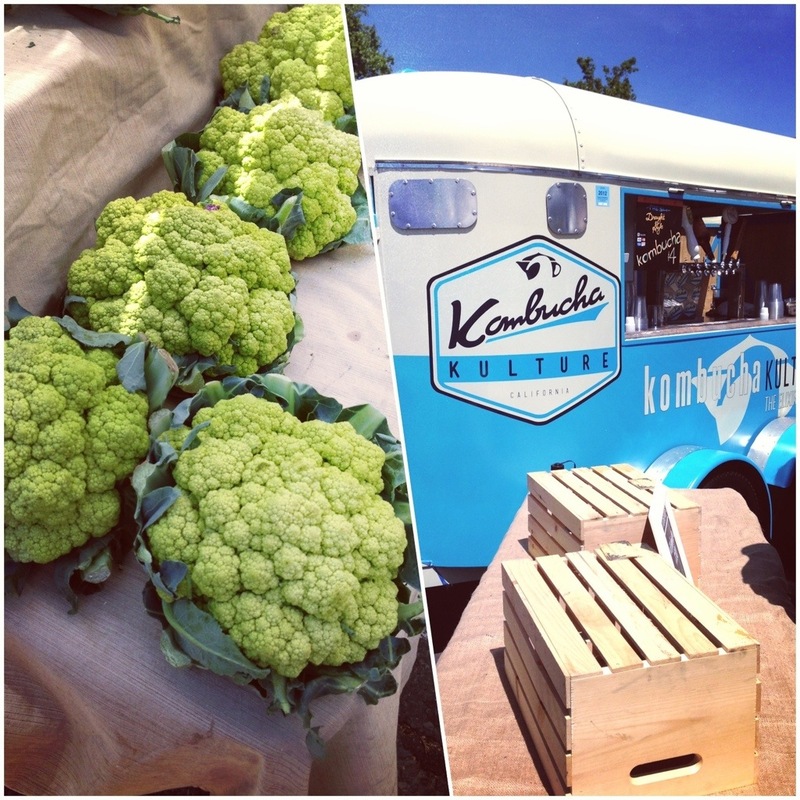 Every week during the summer, there are mini farmer’s markets around my office, but they tend to have fewer vendors. The Midtown Farmer’s Market has live music, tons of vendors, is a whopping 5 blocks away from my apartment AND has free bike valet! I can’t wait to go tomorrow, I spotted tomatoes as I biked past yesterday’s market. I hate most tomatoes, but LOVE fresh cherry tomatoes and sometimes even homegrown regular ones too. I have been trying to incorporate more strength training into my workouts, and workouts like this are perfect! 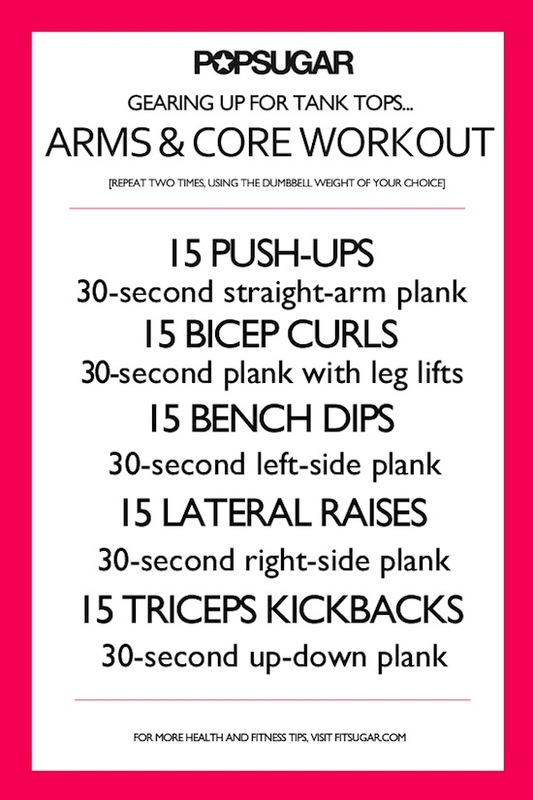 I did this workout on Wednesday and my triceps are still super sore. I also have an iPad subscription to Women’s Health magazine, which has a lot of 15-minute workouts that I’ve been trying out. I did this body weight workout last week, but was little leery of doing an L stand without someone to spot me. Also, ab roll ups are like the burpee’s annoying cousin. 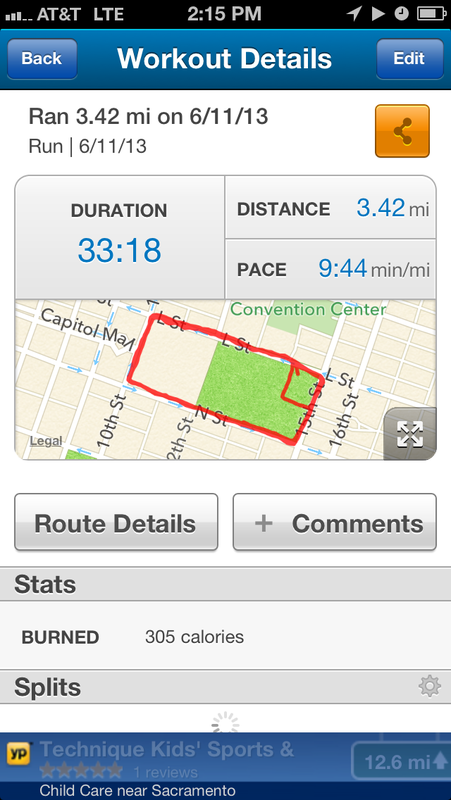 I ran my furthest run ever last week, 3.4 miles! I have also been toying with the idea of running a 10K in late August or early September. Somehow, training 4 days per week in the Sacramento heat doesn’t sound desirable (or safe) though. I have upped my “minimum” distance to about 2.75 miles, so I am at least somewhat on track for the training in case I do decide to go for it. The training schedule I found shows 2.5-3 mile runs during the week (eventually increasing to 3-3.5 miles), and long runs on Saturdays. chicken & grilled veggies with fresh corn! 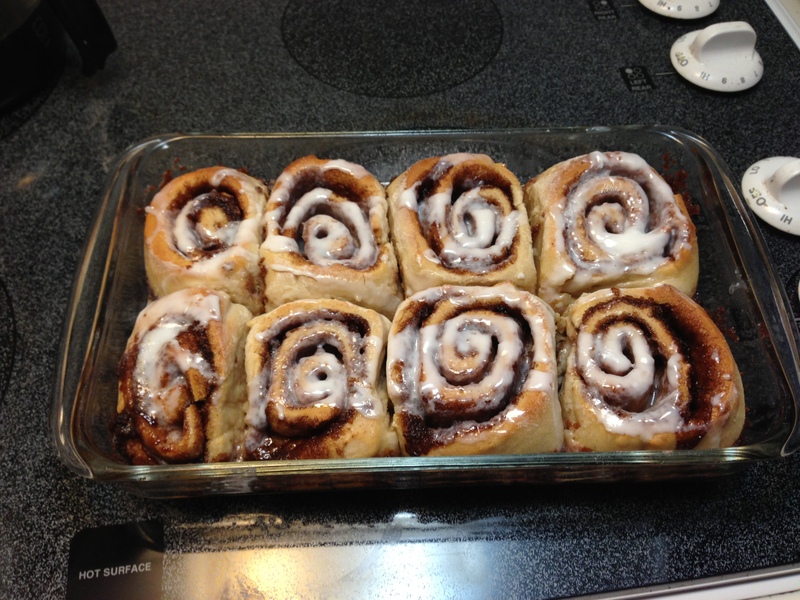 “semi homemade” cinnamon buns. made from an Auntie Annes kit which included yeast, flour, cinnamon sugar, and premade icing. meatless monday taco! 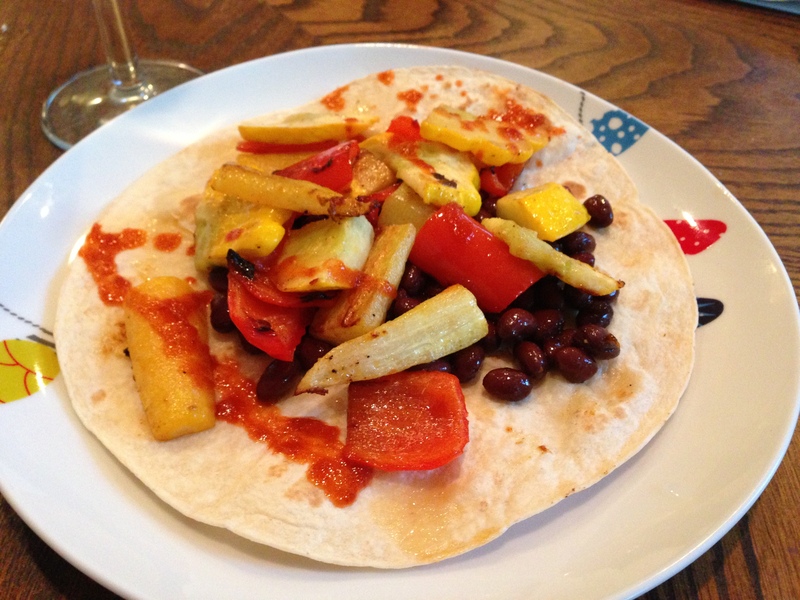 with summer squash, yellow carrots, bell peppers and black beans. also, SRIRACHA. I have been eating pretty frickin well lately. Where do you get your workout ideas? Change: Love it or hate it?